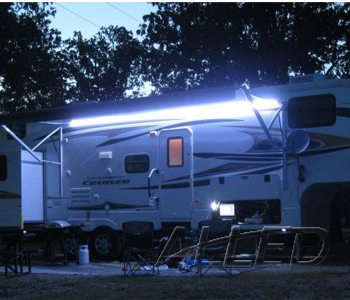 ALLED has now launched this new product for your interior and exterior applications, for your caravan, RV, marine, yacht, camper trailer, and motor-home upgrades. 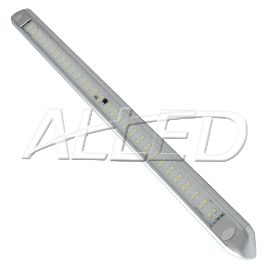 Its specially designed triangle body is an innovational idea to produce a more efficient way of light illumination. 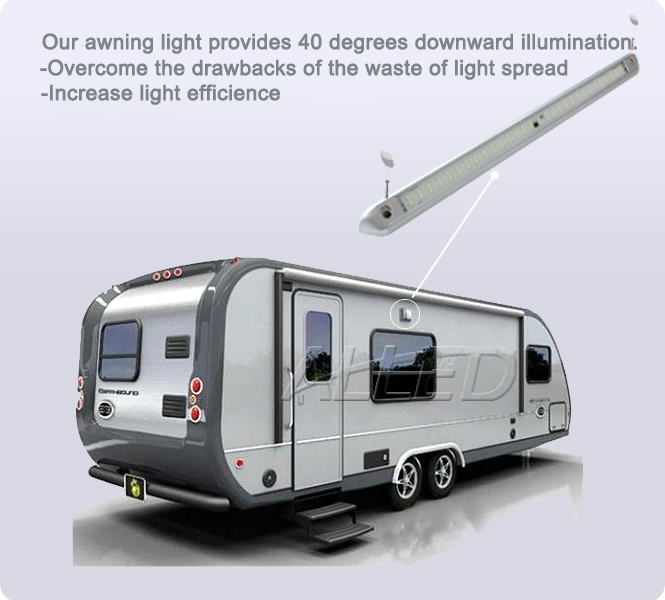 The genius design of this light, was made to replace your traditional awning light. The two waterproof plugs at either end of the light will ensure its waterproof function. 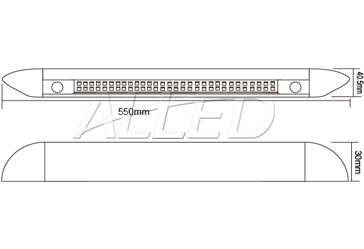 The silver painted aluminum housing design makes it easy to dissipate heat, and ensures its long working life span. 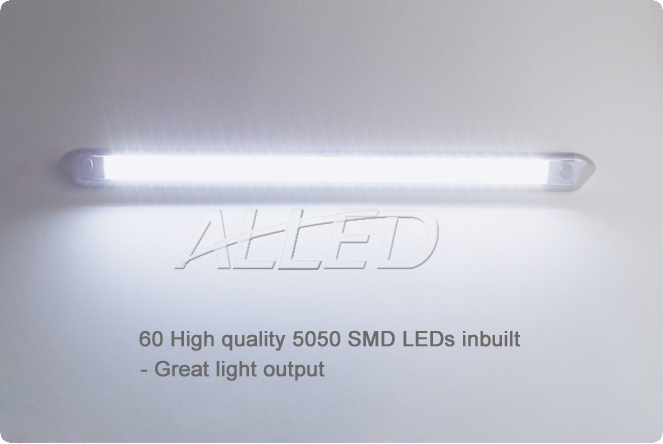 With 1000 Lumens, it is super bright to light up your camping life.